This is the 10th edition in our feature showcase series! To celebrate, we're going to take you on a tour of our LIFT Insights platform, which delivers metrics on how well your advertisement sources are performing. To respect our partners, we are anonymizing all of the screenshots you see in this post. However, you can see a full list of our ILS syndication partners here. Each connection performs differently depending on the market, and we don't want to influence your opinion of one connection over another. You should use the services along with LIFT Insights to help you make that determination for yourself. Insights is a reporting and analytics platform for viewing key metrics about the performance of your website and advertising. The goal is to help you make better informed marketing decisions using data to guide your decision making process when choosing your advertising sources. The Website section contains reports from Google Analytics about traffic, referral sources, devices, page views, etc. 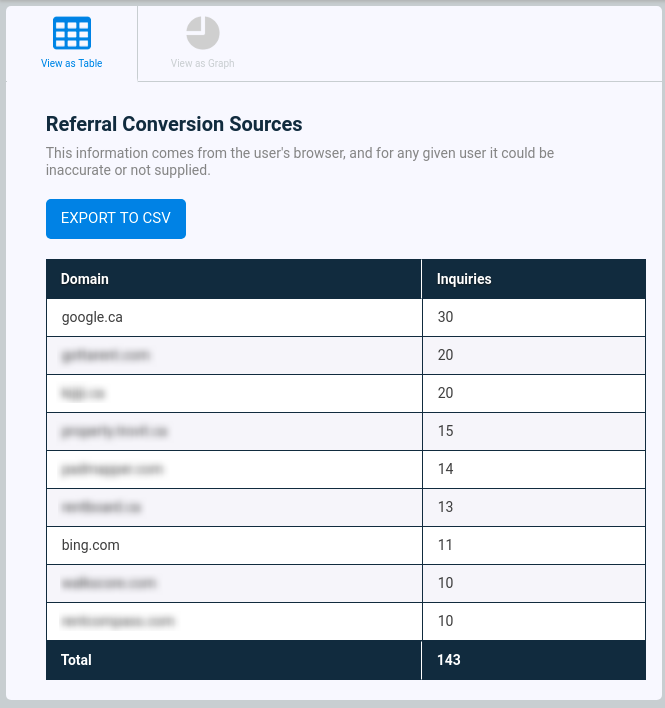 We then layer in website lead data to provide reports on referral conversion sources, so you know which sources are not only generating traffic, but are also providing you traffic that converts. The Advertising section contains a series of reports on your advertising lead data. Reports are available with groupings by City, Service or Property depending on how you'd prefer to ingest the data. Dashboards provide quick 30 day snapshots of a couple important data points. This is the first glance when you go into a section. 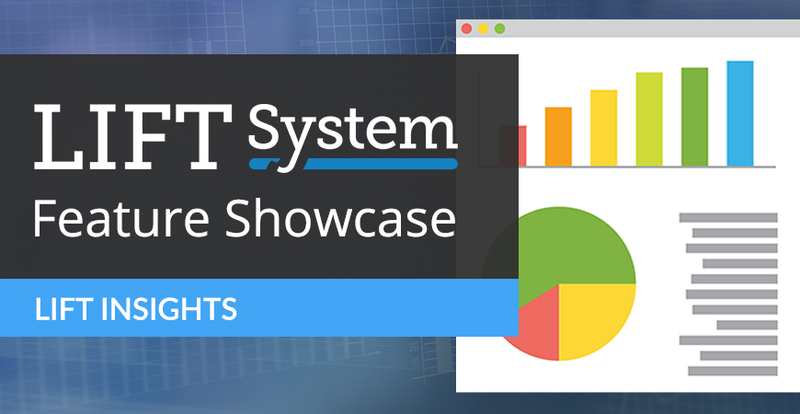 Insights features many different flavours of reports and reporting modes for viewing your data. Reporting modes for most reports are available in Total Leads, Leads per Property and Leads per Property per Day. The two latter ones provide a decimal representation of the average number of leads. Those modes help remove any bias or data skew that would occur with Total Leads if each service or city doesn't have the same amount of properties enabled in each one. Compares totals leads between all advertising sources and your website. The results of this graph will differ based on which advertising sources you use. View the leads for all services for any given date range. Three separate views you can check out based on what's important to you. View the number of leads generated in each city for each service, or get granular by looking at leads from all properties and services on the same page. Learn which websites your inquiries are coming from. 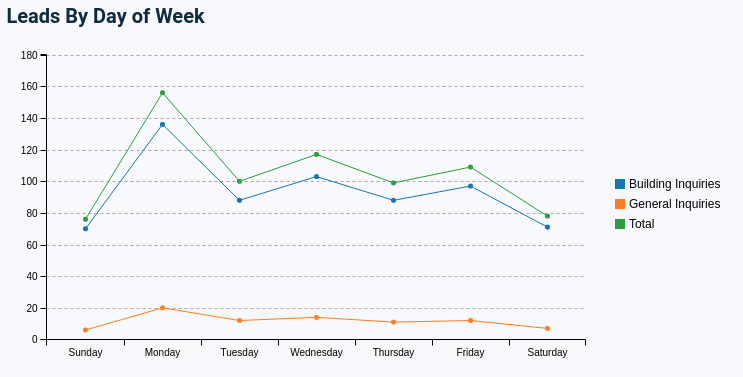 Discover which day of the week you get the most leads. Email and Call Tracking are a big part of LIFT Insights. This is particularly true for email tracking, as it makes many of the reports we've seen in this post possible. Insights also features a place to view your leads from your advertising sources. You can learn more at a previous blog post introducing the feature here. Call Tracking is another vital piece to understanding your advertising performance. Buying tracking phone numbers allows you to easily and conveniently display call tracking numbers on your website and within your advertising to start logging the volume of calls your teams are receiving. 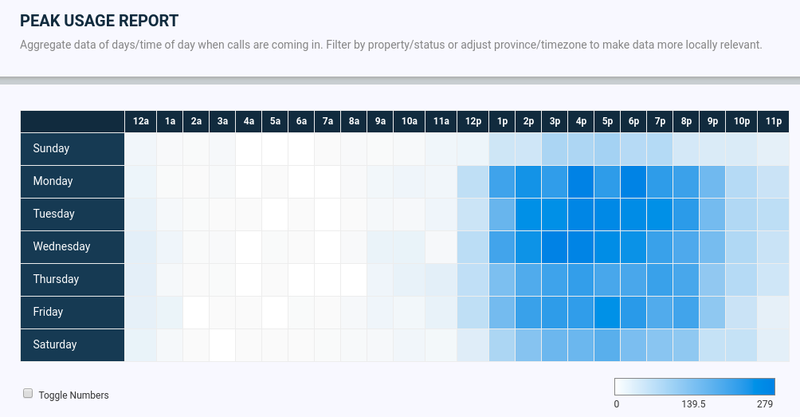 Call Tracking features similar reports previously mentioned in this post, organizing call log data by Day, Service or Property. Compare website and advertising calls made, and listen into calls made if you enable call recording. We hope you liked the tour of LIFT Insights. If you have any questions, contact our support team, who will be happy to assist you with providing more information.